› Holiday › Holiday Blues? 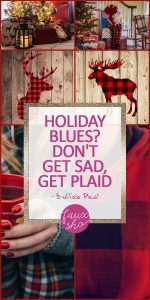 Don’t Get Sad, Get Plaid–Buffalo Plaid! Put a fresh spin on things this year with buffalo plaid for the holidays! If you’re getting a little bored and blue with your old holiday decorations, it’s the perfect time to do it. Buffalo plaid for the holidays is anything but boring and blue! Check out the ways you can bring buffalo plaid into your celebrations. If you’re not sure about using buffalo plaid in your holiday decorating, there’s nothing wrong with starting small. 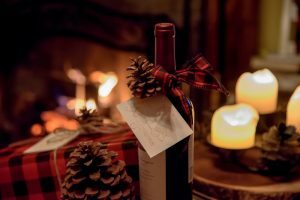 Try pairing it up a little buffalo plaid ribbon and wrapping paper with some rustic elements such as jute, pinecones and candles. I think this is an amazingly warm and cozy look. What could be more perfect for cold winter nights? Get an old wood pallet or some reclaimed boards, or even a rustic shutter to decorate your front porch. 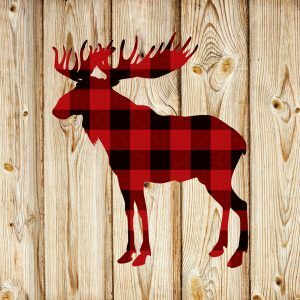 All you need to do to really make it pop is add a moose in buffalo plaid for the holidays. 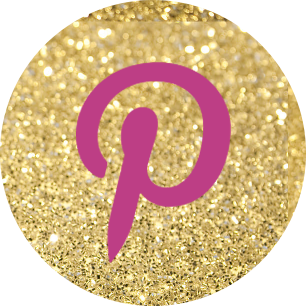 Do you have a Cricut machine? Then making a moose in a buffalo plaid print couldn’t get any easier! Cut, peel and stick, and you’re done! 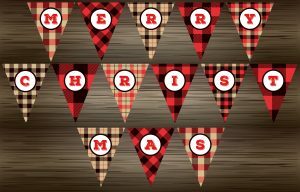 You can also use that Cricut machine to craft an adorable Merry Christmas banner out of assorted buffalo plaid prints. You could dress up your mantel with this, or even a wall, doorway, or window. 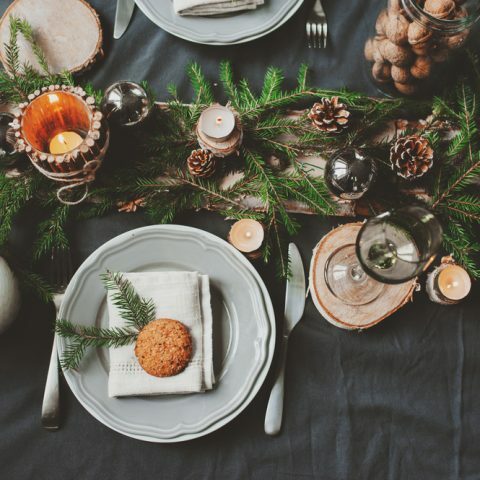 I love it because it’s rustic and festive without being cutesy! 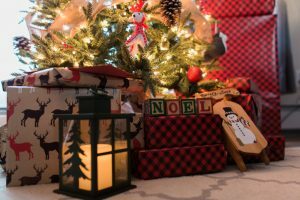 One of the fun ways to incorporate buffalo plaid for the holidays is to buy up all the buffalo plaid wrapping paper you can find. It just looks so great under the tree! And you don’t have to be completely buffalo plaid–get a coordinating paper like these red and black stags to go with it. 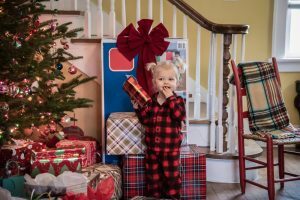 Buffalo plaid for the holidays has to include pajamas! Aren’t they just so adorable? Etsy has a variety of buffalo plaid pajamas for the entire family. Check it out before they’re gone!